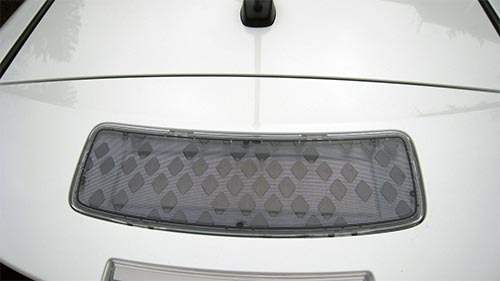 Car enthusiasts often wonder why solar cells are not installed in the roof of EVs to extend the range of the vehicle or even allow the car to run indefinitely. Turns out there are a lot of issues that reduce the practicality of a solar roof in vehicles. We’ll examine what has been done in the past, what could be done in a car like the Tesla Model S, how much additional range is gained and the costs. 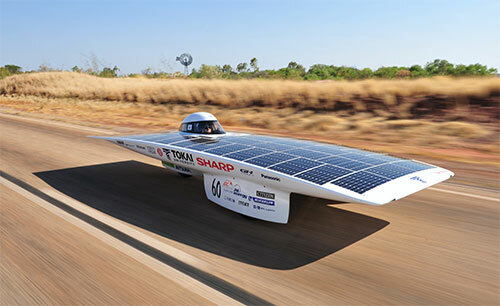 Solar Prototypes – There have been quite a few one-off solar cars. These cars usually only handle one passenger, have zero cargo space and fail to meet any safety and regulatory standards for a street legal car. These cars also lack performance and handle poorly. 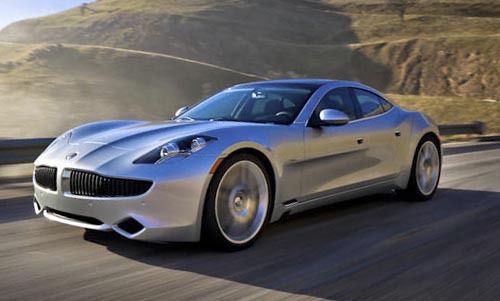 Production cars with Full Solar Roof – We are aware of two cars that come with a full solar roof, the 2011-2012 Fisker Karma (now out of production), and the 2017 Toyota Prius Prime. The Karma originally planned the solar roof as a $5000 option, but then added the cost into the base price. It was expected that the roof would generate 500 W on a full sunny day and help charge the propulsion batteries. In the final design, it only charged the 12v lead-acid accessory battery. The software to track solar charging was never released, to the dismay of owners. 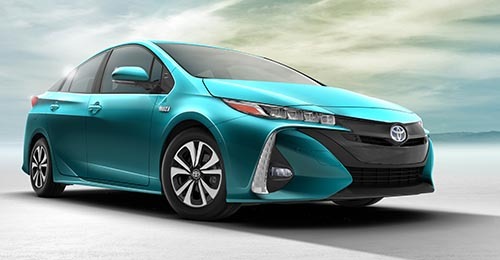 The Prius Prime hybrid has a $3000 solar roof option to charge the 12v battery and the small hybrid battery. We’ve been unable to find any details about power output. The solar roof area looks smaller than the Model S roof area. The Prius Prime was pulled from the US market at the last minute as the glass roof failed in the rollover safety testing. It is currently sold in Japan and Europe. Partial Solar roofs – There are quite a few cars that have solar cells mounted in a small portion of the roof or rear spoiler. This option was available on several cars including some Toyota Prius models and the Nissan Leaf. All these systems either charged the 12v battery and/or powered a small ventilation fan. They did not contribute to extending the range of the vehicle. As it applies to Tesla, the Model S has the largest usable roof area, so we’ll do our design work with the Model S. The Model 3 is expected to have a smaller roof area. The Model X has less area available for solar cells due to the falcon wing doors. The solar cells can be packed tightly. Cells are made in several fixed sizes, and it may be necessary to trim the cells to pack them in tightly. This can add considerable cost if trimming is required or will reduce the output if the fit is not optimal. The outside shape of the roof is unchanged, so that the CD (Coefficient of Drag) is not increased. Specialty glass with anti-reflective coatings might get to 95% transmissivity, but is not practical for a vehicle. Clear glass generally allows 90% of the sunlight through, but can’t be used in a vehicle roof. The necessary laminated/tempered safety glass for a vehicle lets even less light through, perhaps less than 80% if optimized for solar. Below the cells is a substrate to hold the cells, an insulation layer and the headliner. The solar array and components adds weight, which reduces range. It should be a small amount, so we’ll ignore it. A very good inverter has about 90% efficiency to go from DC to AC. A second inverter (the car’s charger) is likely less than 90% efficient, but let’s assume it is also 90% efficient. Together, this means getting the power to the main battery is 0.9 x 0.9 = .81, or is 81% efficient.It is possible to make a direct DC-DC inverter with a 90+% efficiency using higher frequencies, but it adds complications and others costs. At the battery connection, another set of expensive contactors would be necessary for safety. Still it could be worth the extra expense. This approach could generate an additional 10% gain in charging power. Your vehicle sits in the sun all day long for up to 12 hours, and is never shaded and the roof is always perfectly clean without dust or dirt. There are additional areas that might be covered by solar cells, but we’ve left them out for this analysis. For example, solar cells could be mounted on the hood to double the surface area. The problem with the hood is it often gets rock strikes which would shatter the glass. Being lower, objects and the car itself may cast a shadow on the hood in some orientations, reducing the power output. Lastly European pedestrian safety standards require the hood have some give to reduce pedestrian injuries if struck. A glass hood could never meet these standards. The rear trunk lid offers a small additional area. It also tends to collect dust and dirt, reducing the performance of cells in this location. 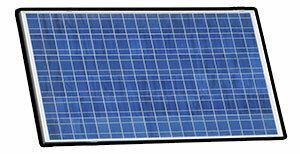 Some of the highest efficiency house roof panels get 300 W that is about 2490 square-inches. If we adjust for our vehicle’s roof size of 1890 square-inches, this drops to 227 W equivalent power output. This wattage rating is the peak instantaneous output with maximum sunlight. The average sunlight varies greatly by region. We start with the average daily solar radiation at a specific location. The daily radiation will be lower in the winter and higher in the summer, but averaged out to the value shown. It encompasses typical effects that reduce sunlight over the year such as clouds, rain and other conditions. We can find the maximum energy is produced over the day by multiplying the daily solar radiation by 227 W. Because the vehicle roof is flat, it collects less light than if it was positioned at the optimum angle to the sun. Lastly, we lose at least 10% more due to the safety glass, and the inverter/charging is only 81% efficient. Combining the losses: 0.90 & 0.81 = 0.73. The last column below shows the average daily usable output after these losses are applied. We basically can generate 533 to 767 Watts over an entire average day in optimum conditions, depending on location. In Orlando, you could generate up to 13% more energy if you can position the car on a hill that is perpendicular to the sun. That would mean a 28-degree hill. Now that we know how much power can be generated, it’s easy to calculate the added range this extra power can provide. Let’s assume your car uses 300 W per mile. From our chart above, you might get as much as 2.5 miles of range in a day of solar charging in Orlando. With less sunlight In Seattle, this would drop to 1.8 miles of added range. It’s very hard to estimate what the retail cost of a solar roof in a car would be. It appears from other makers, $3,000 to $5,000 is typical. This includes the special glass, the solar cells, assembly labor, the inverter, wiring, testing, warranty coverage and profit. If we somehow could get 100% sun on our car 365 days a year, in Orlando, we would produce 767 * 365 = 280 kWh of power a year. Over 15 years, this amounts to 4,200 kWh. At a local power rate of $0.30 per kWh, we would save 4200 * $0.30 = $1260. It’s easy to put in other numbers if your home night charging rates are different. In California, my night rate is only $0.09 per kWh. This solar roof would save me less than $378 over 15 years! It’s hard to see how a solar roof makes any economic sense. It would have to cost less than $400 in my area to recoup the costs if I can somehow get the car is in the sun every day for 15 years! It would be far better to invest in a solar roof on a house than on a car. An alternative way to look at this is if the cost was on the low end – $3,000, and presuming you could leave the car in the sun every day, it would take more than 110 years to payback that cost! When asked at conferences in the past, Elon has laughed that the idea of a solar vehicle roof. In a recent tweet, he hinted it might be a future option without stating the power or what it might charge. 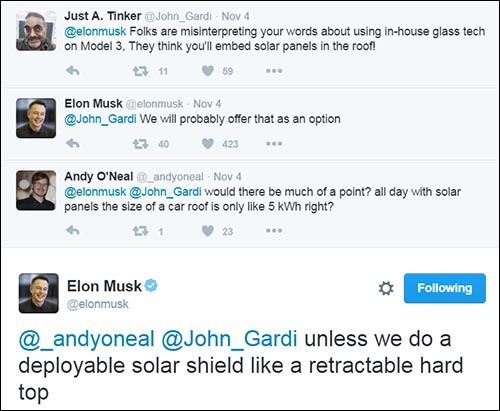 Later in 2016, Elon suggestion on using a deployable solar shield is just Elon kindly saying no to the suggestion of a 5 kW panel that requires about 10 times the size of the current roof. More recently, at the NGA meeting (at the 55.50 point in the video) on July 2017, Elon was asked about having a solar vehicle roof and he again stated that it makes little sense. He even stated he pushed his team look at the problem to see if it made any sense. With a solar array that would somehow pop out of the trunk and deploy over the car, taking up the entire parking space, it might produce enough energy if in the sun all day to extend the range by 20-30 miles, but it is the expensive difficult way to do it.